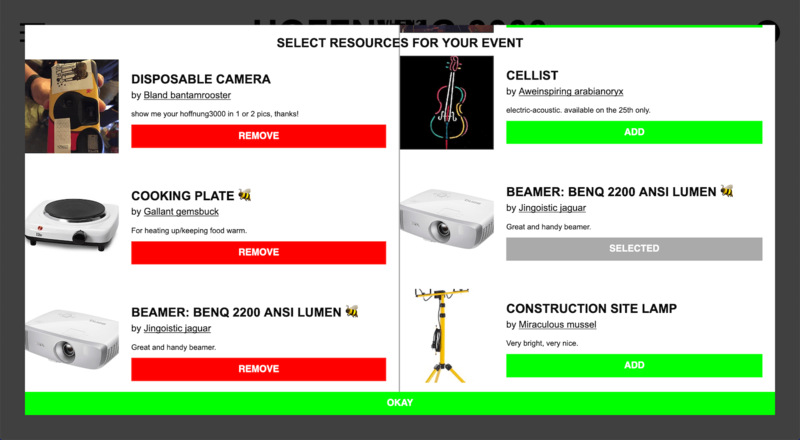 HOFFNUNG 3000 is a web-based platform on which participants organize the festival themselves by offering and sharing and using everyone’s abilities / potentials / gear / skills. The idea was and is, that all these resources form a diverse pool of potentiality and it is from these resources that all activity and production derive. The festival is created by everyone’s collective endeavour. 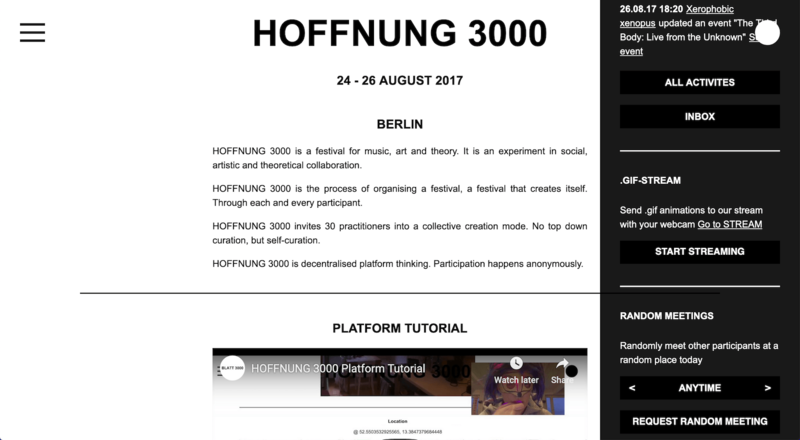 HOFFNUNG 3000 was also a festival for music, art and theory in Berlin initiated by BLATT 3000 together with KLANGkELLER in Berlin 2017. It was an experiment in social, artistic and theoretical collaboration. 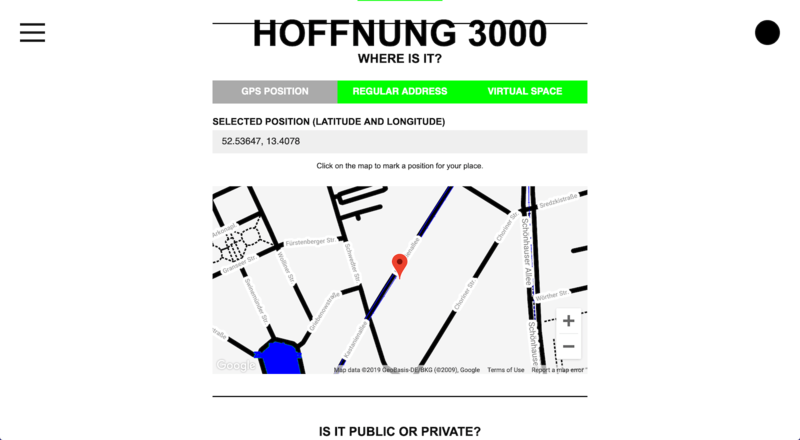 HOFFNUNG 3000 asks: How do we organize ourselves in our social, artistic & theoretical communities? 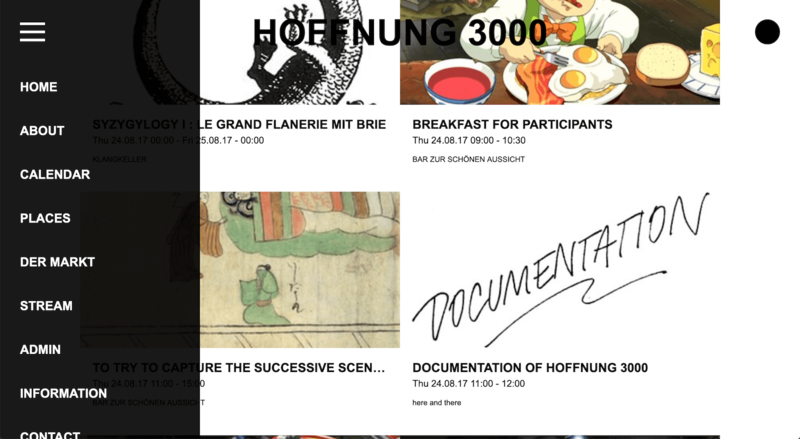 HOFFNUNG 3000 is not simply a festival but more of a process of organizing a festival, a festival that creates itself. Through each and every participant. 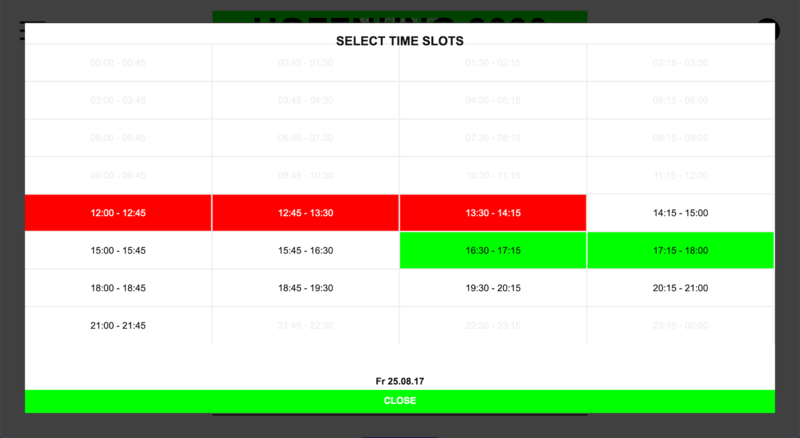 HOFFNUNG 3000 can be installed on a server for your own festivals. Follow the Getting Started guide to learn how to use HOFFNUNG 3000.